While it’s too late to spray effectively, growers and agronomists can check fields for the presence and population of winter annual weeds before the snow flies. 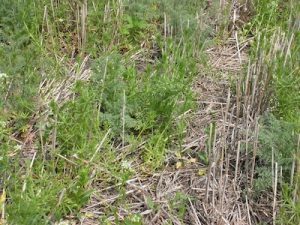 This information can help with spring pre-seed burnoff and crop rotation planning. 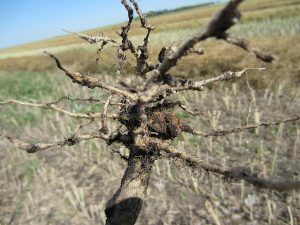 Manitoba has a few confirmed cases of clubroot in 2015. One field with galls was found in the R.M. of Pembina, and fields with galls were found in the Swan River Valley. The Canola Council of Canada hosted Canola Discovery Forum in Canmore, Alberta, October 27-29, 2015. In this podcast, Daryl Tuck, canola grower from Vegreville, Alberta and director with Albert Canola Producers Commission, Wayne Truman, canola grower from Redvers, Saskatchewan and director with SaskCanola, and Clint Jurke, agronomy director with the Canola Council of Canada talk with host Jay Whetter about highlights from the event. 1. I have monitor cables in my bins. What temperature will damage canola? 2. 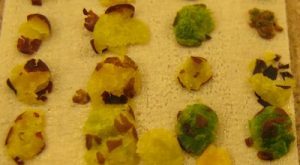 What is a safe plenum temperature for drying canola? The Canola Council of Canada will hire three post-secondary students to fill the position: Agronomy Specialist Summer Assistant. All applications must be received by the end of the day on November 11, 2015. The Early Bird deadline to register for the Canola Council of Canada’s 2016 Convention in San Diego is midnight, November 24, 2015. All who register before that time will automatically be entered to WIN a $500 VISA gift card. Click here for contest details. This short film explores the truth behind common misconceptions of agriculture, empowering farmers to advocate for their social license to farm. The film will make its debut early January 2016. 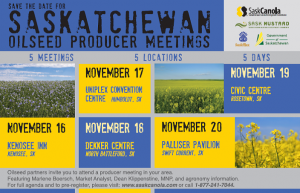 Alberta Canola Producers Commission will host 12 canola grower meetings across Alberta beginning on November 17. All meetings have top notch speakers addressing agronomy, marketing and farm business management topics to help make farmer more profitable. SaskCanola partners with Sask Mustard, SaskFlax and Saskatchewan Ministry of Agriculture for the Saskatchewan Oilseed Producer Days — 5 Meetings, 5 Locations, 5 Days.